With the growing popularity in the sports quad market and with the experience Aeon has gathered through building sports quads under licence for some major manufactures, Aeon has released the new Cobra 220 ATV that has a range of impressive features. Equipped with an electric start 196cc OHC four stroke motor that develops 14.5 Nm of torque at 5000 rpm the Cobra 220 ATV will give endless fun, recommended for riders 16 years and over. 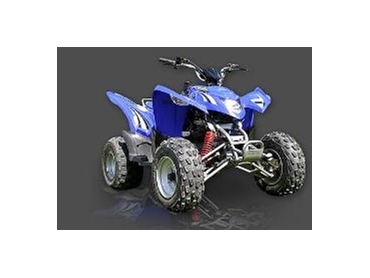 Featuring front and rear hydraulic disc brakes, adjustable front double wishbone suspension, adjustable rear shock, automatic C.V.T transmission with reverse gear and quality that is second to no one, the Cobra 220 ATV is a good buy.